When it comes to weather, few states—if any—can compete with the ideal, year-round climate that Arizona affords. 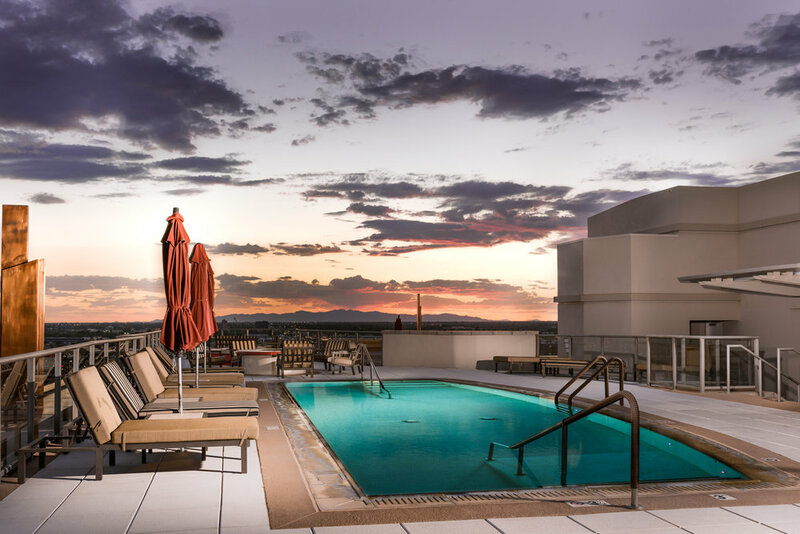 Simply put, if there is something you want to do, and you want to be able to that “thing” whenever you want, there is no better place to live than Arizona. No one knows this better than the residents of the Valley, who have the freedom to host friends and family for alfresco dining from January 1st all the way through December 31st year-in and year-out. 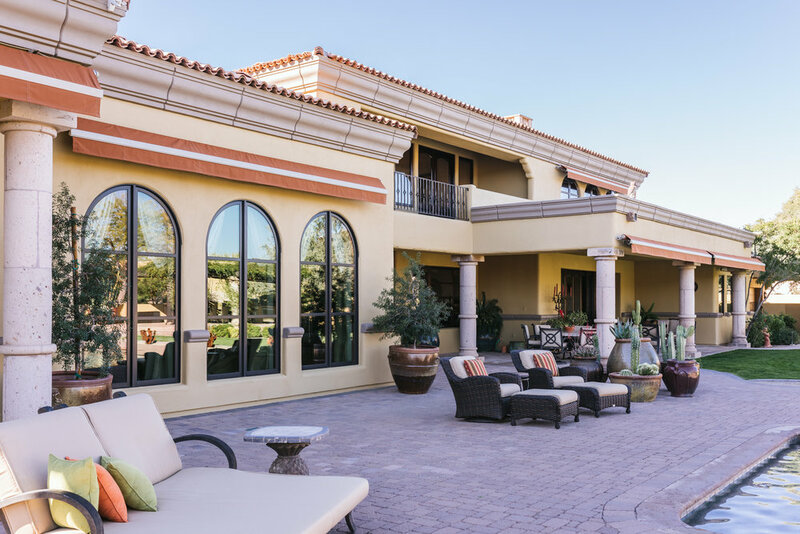 These homes are ideal examples of patio dining – private dining at 8400 E Dixileta Drive, or a group hosting during Thanksgiving at 5676 E Cheney Drive. 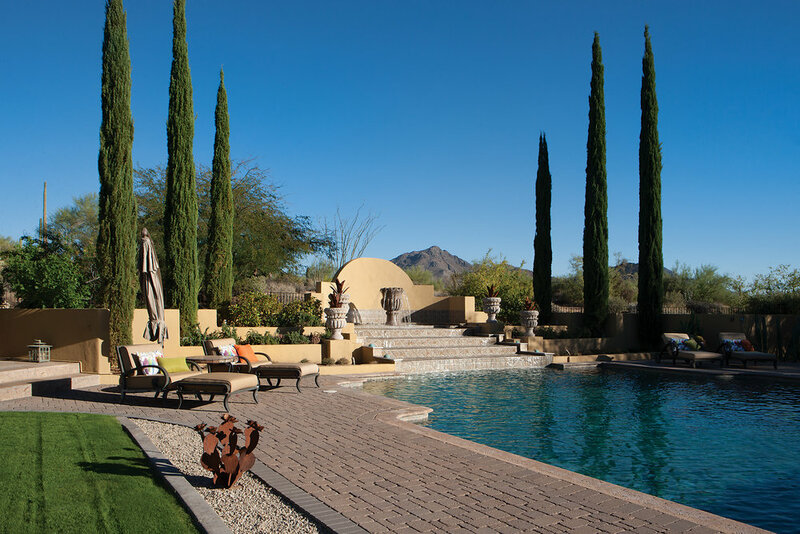 Both properties dabble in the extraordinary, offering utterly lavish outdoor spaces that can entertain morning, noon, or night. 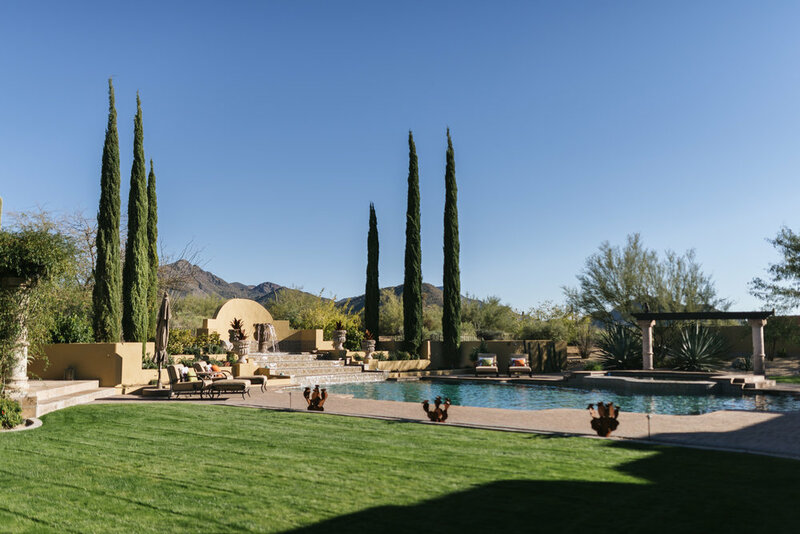 Or consider the expansive grounds of 9701 E Happy Valley Road, #2, open and pristine, just perfect for hosting seasonal garden parties, or large, family cookouts. 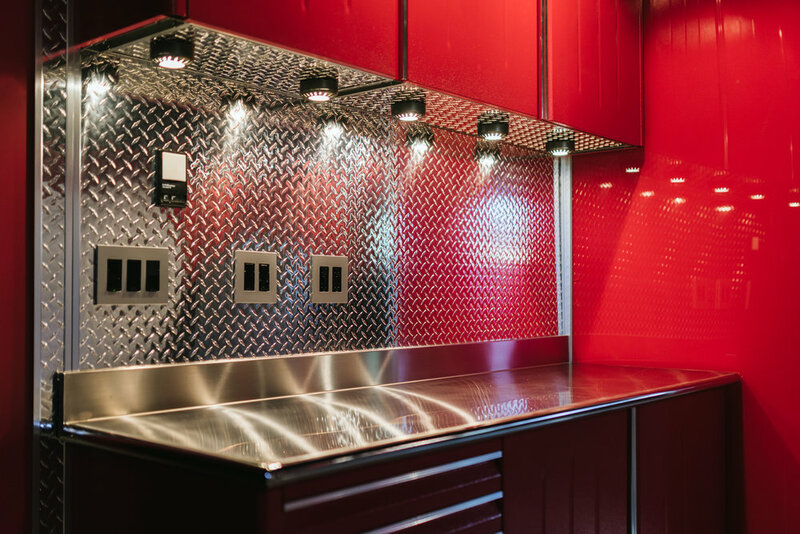 Speaking of cooking, envision the ease of hosting a mid-winter barbecue on a grill like the one included with 9701 E Happy Valley Road #13. 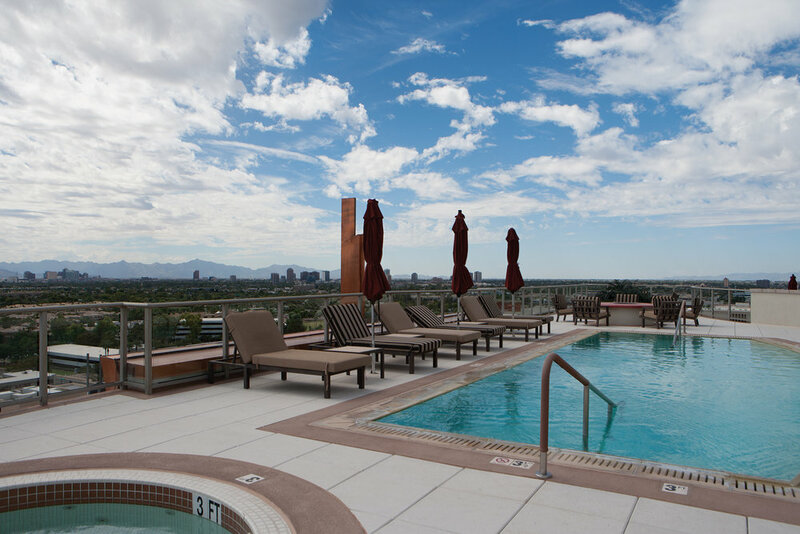 Guests are guaranteed to enjoy the view while you impress them with your mastery of the grill. Not interested in cooking outside your indoor kitchen? Not to worry. 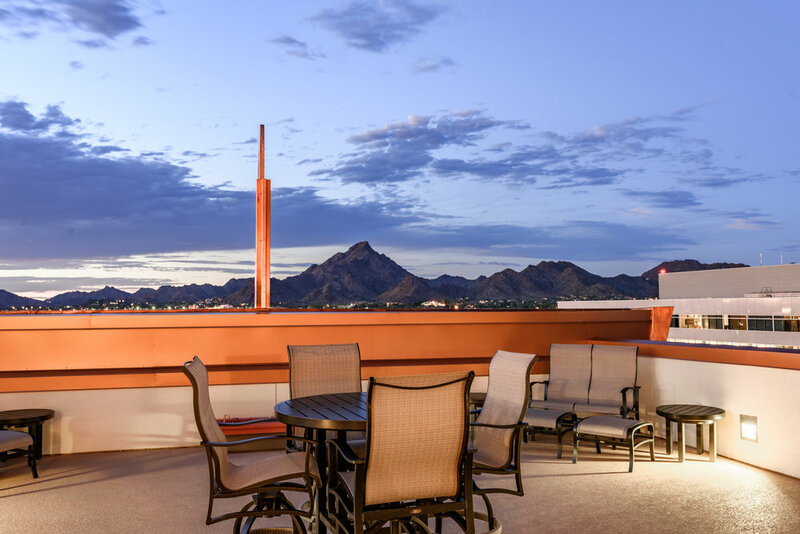 An inviting rooftop view like the one available at 2211 E Camelback Road, #1101 makes a perfect venue for early evening canapés or after-dinner digestifs. 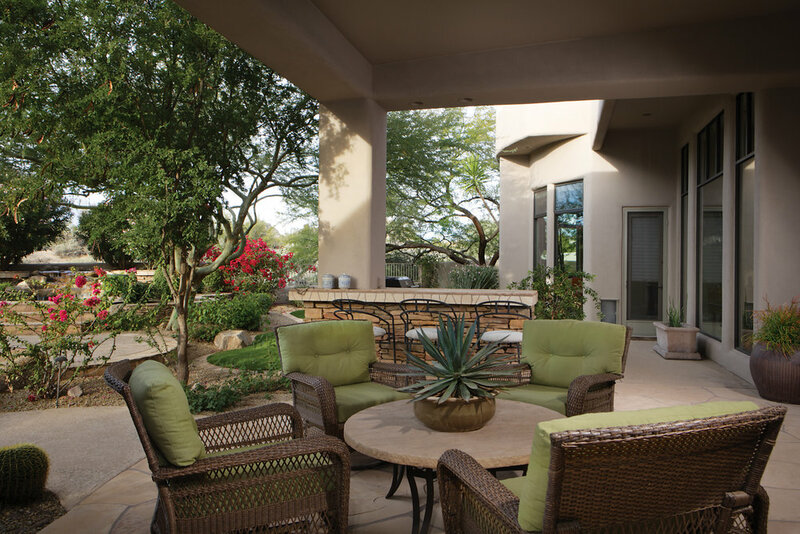 In Arizona, alfresco dining is truly is a year-round lifestyle everyone craves. Gardens in the southwest have some of the most impressive blooms in the country. 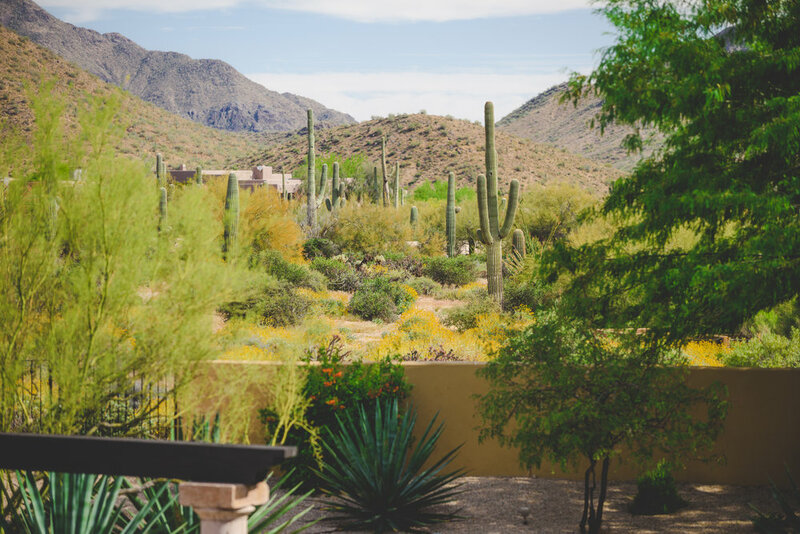 There’s a reason Phoenix’s Desert Botanical Garden is ranked as the 4th Best Botanical Garden in the United States. Bright, blue skies, soul-warming daytime temperatures, and the remnants of invigorating winter rains create a perfect storm for blossoms that is difficult to replicate anywhere in nature. 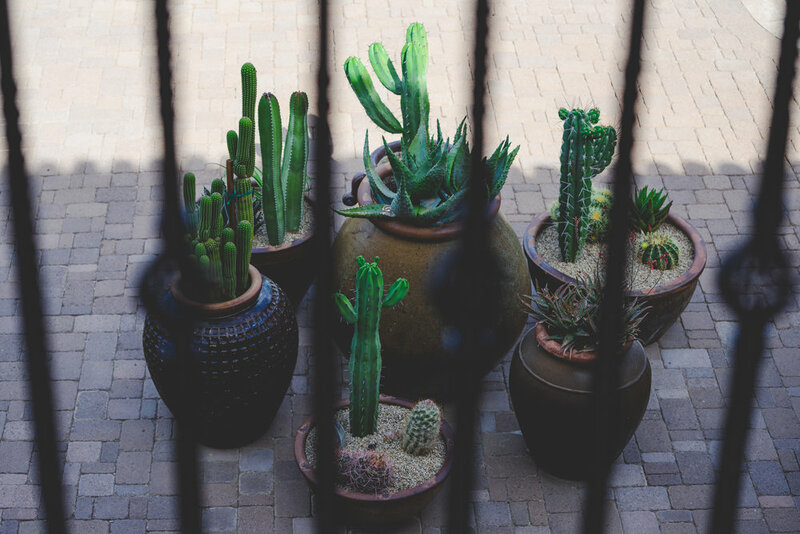 For the at-home desert gardener, there are plenty of drought-resistant, brightly blooming species—including Datura, Penstemon, Prickly Pear, Salvia, and Primrose—that are easy to plant, and even easier to maintain in an arid environment. These regional blooms are extensively-adored across the southwest, and are well-known for their ability to transform desert gardens into a vibrant, charming, landscape. 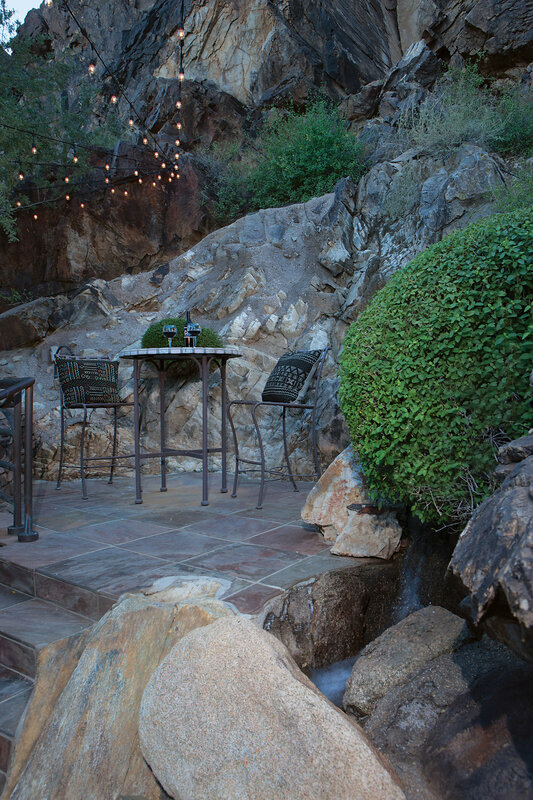 As an example of what can be accomplished look at the Sonoran-styled garden of 9701 E Happy Valley Road No. 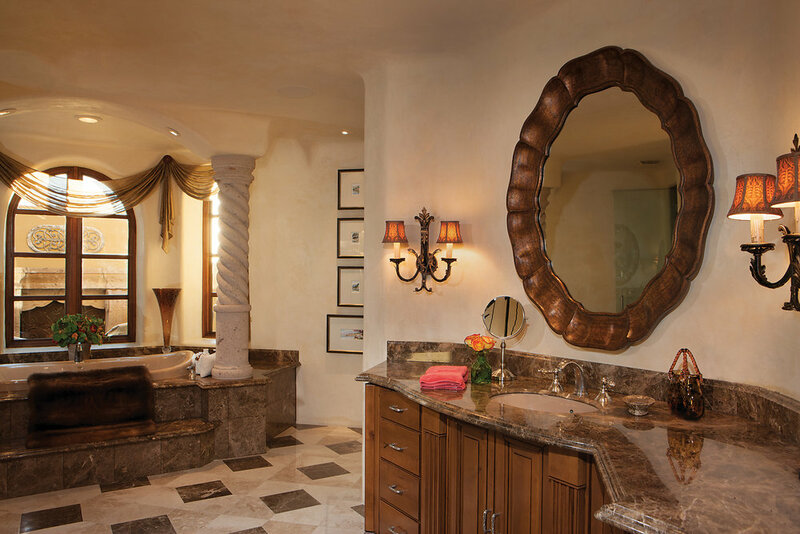 2—one of the most desirable properties on the Scottsdale market. 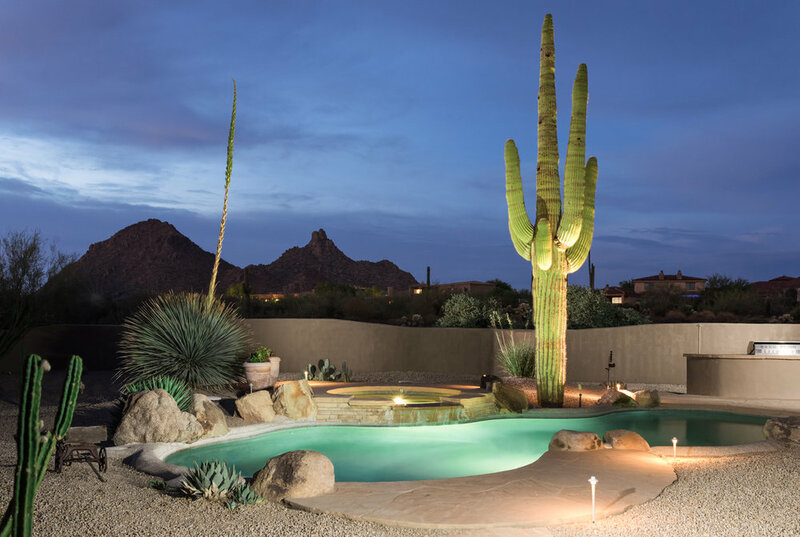 This is a garden that translates the color and form of native desert species like saguaro and yucca, into breathtaking aesthetics that noticeably contribute to an already impressive 4.39-acre estate. 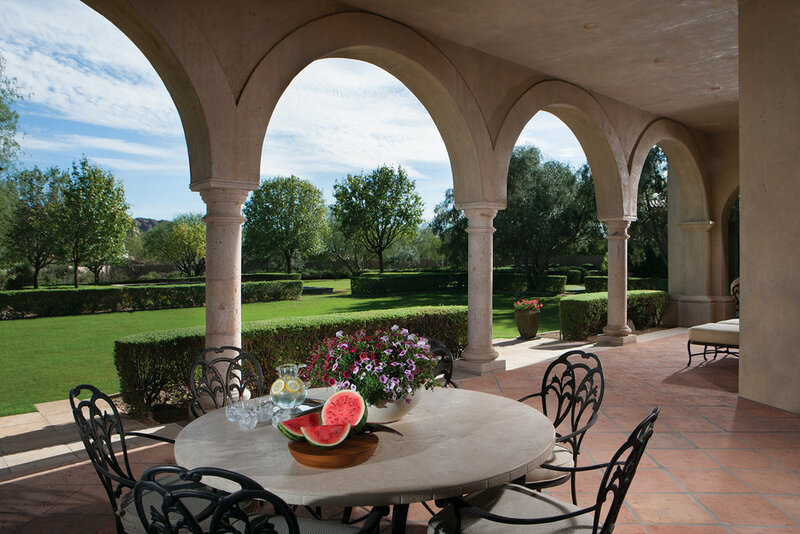 Moving along the covered rear patio, the meticulous interplay between the general landscaping, raised terraces, and earthen pottery is a sight to behold (as is the sweeping vista of Pinnacle Peak and Troon Mountain in the distance). 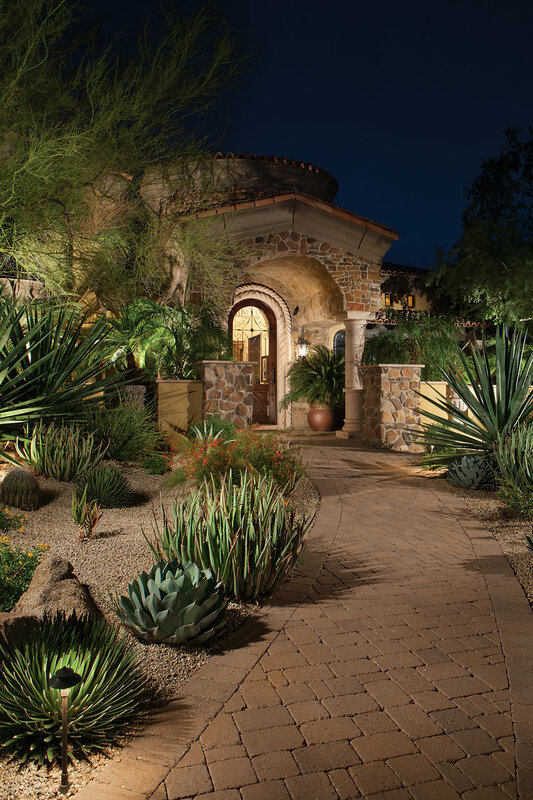 It is an idyllic marriage of manufactured style and natural beauty that hosts a remarkable collection of drought tolerant plants, including grasses (like Mexican feather grass), succulents (like agave), perennials (like desert marigold), and deliciously edible herbs (like Mexican tarragon). Lounging out by the swimming pool, it’s impossible to avoid the springy aroma of the Lady Bank Rose that covers the pavilion’s open roof. Nor is it possible to overlook the strategic incorporation of a traditional lawn which, surprisingly, does not have an astronomical impact on the property’s water usage, with water bills average under $295.00 monthly. While these horticultural revelations about life in the southwest may come as a surprise, their surprising nature doesn’t make them any less true. 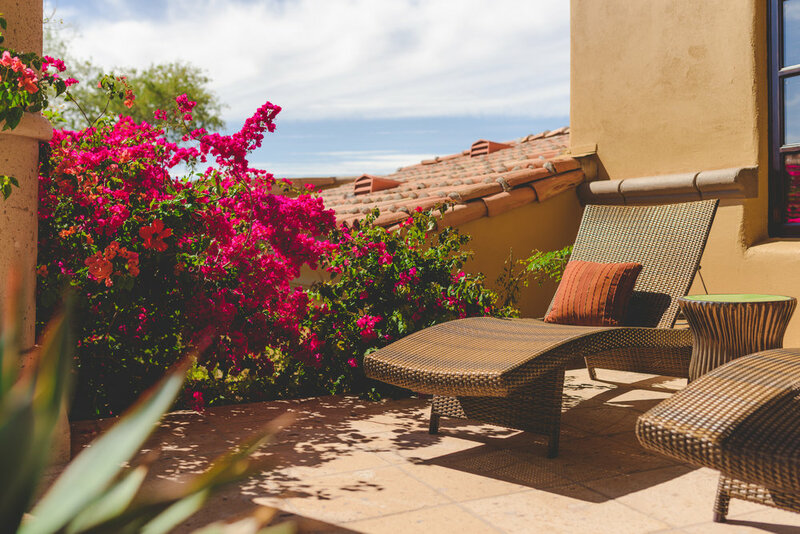 If you’re a current (or aspiring) Scottsdale resident with a prominent green thumb, remember that absolutely stunning floral arrays and springtime blooms can be cultivated anywhere. Even here in the desert. The first?—an prominent primary house. The second?—a sizable lot. The third and final ingredient?—a guesthouse that is both unique and standalone. Now, the first ingredient is fairly easy to attain. 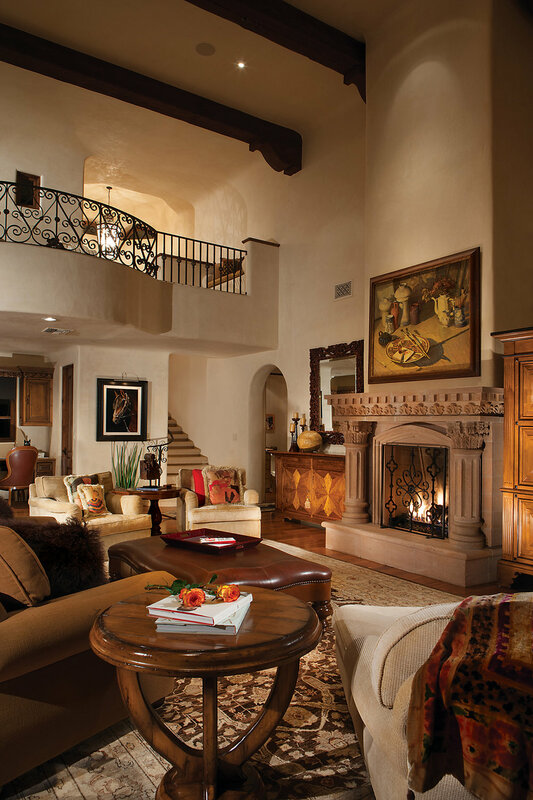 Here in the Scottsdale area, there are a wealth of properties offering magnificent main houses. 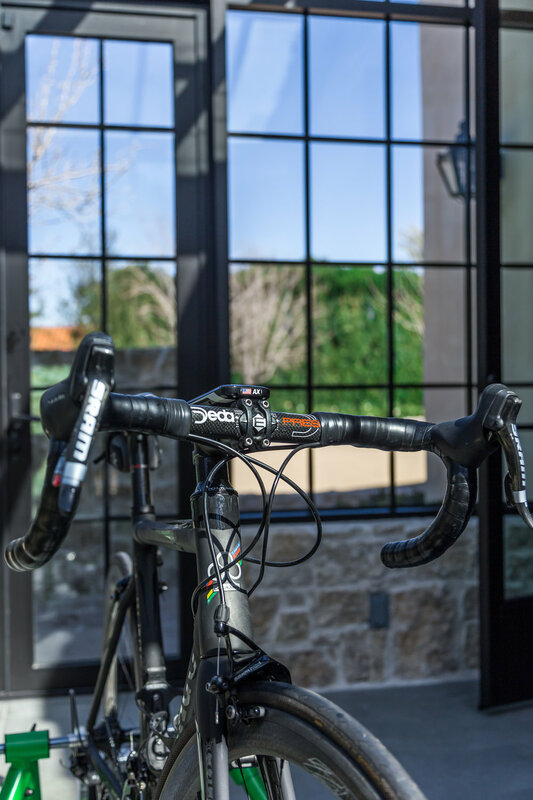 But, the second and third component—the offering of a 4.39 acre estate in a gated community in zip code 85255 with both location and stellar views is a find and the unique, standalone guesthouse—is less easily found and even more rarely acquired. 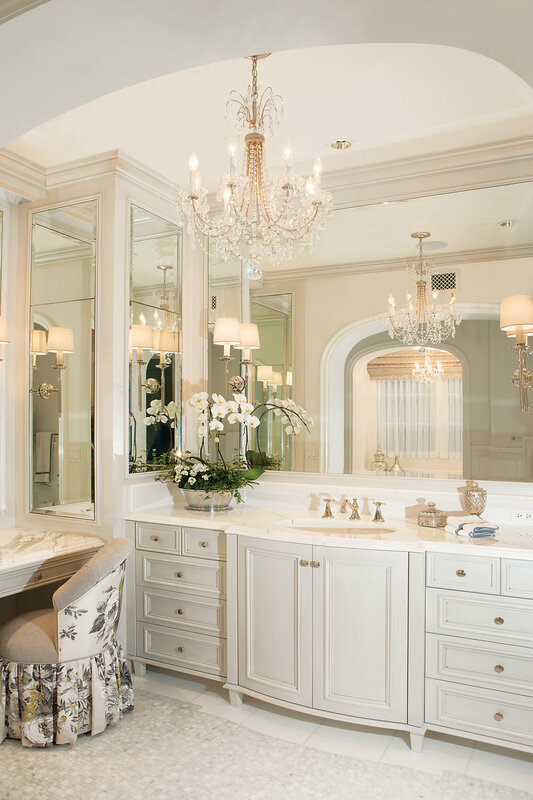 Stated simply, it is exceptionally difficult to find a property offering all three of the necessary ingredients of stateliness. And that’s what makes the opportunity at 9701 E Happy Valley Rd No. 2 so enticing. It is one of those rare moments where a truly exclusive, and utterly unforgettable estate has become available to the market. 9701 E Happy Valley Rd No. 2 has the main residence. And it has the distinctive, detached guesthouse. 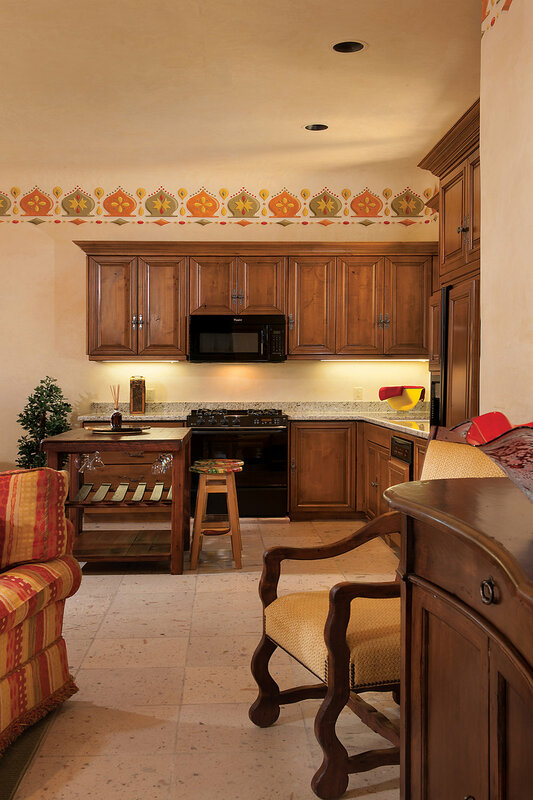 In fact, one might argue that the guesthouse is THE signature feature of the entire property. 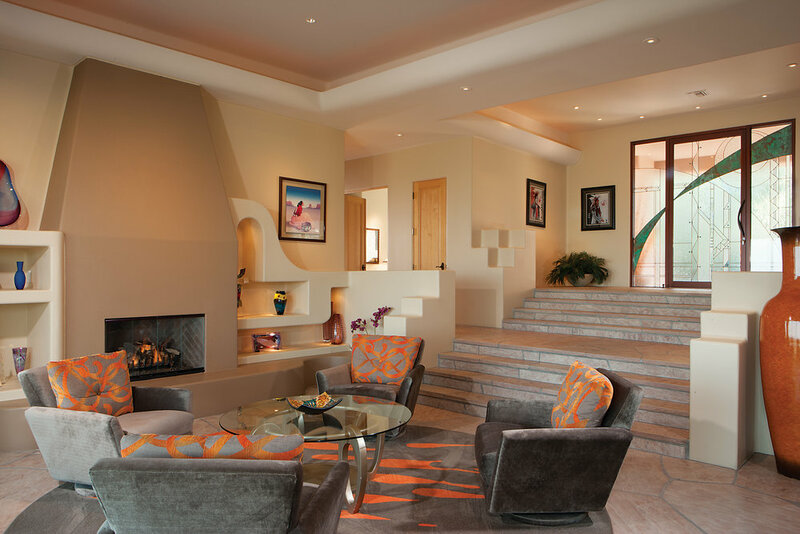 Designed by Janet Brooks and styled with a distinctly vibrant Casablancan-flair, this 1,129-square foot Scottsdale guesthouse offers a fun, energy-infused appeal. In fact, there may be no better way to describe the guesthouse than that. 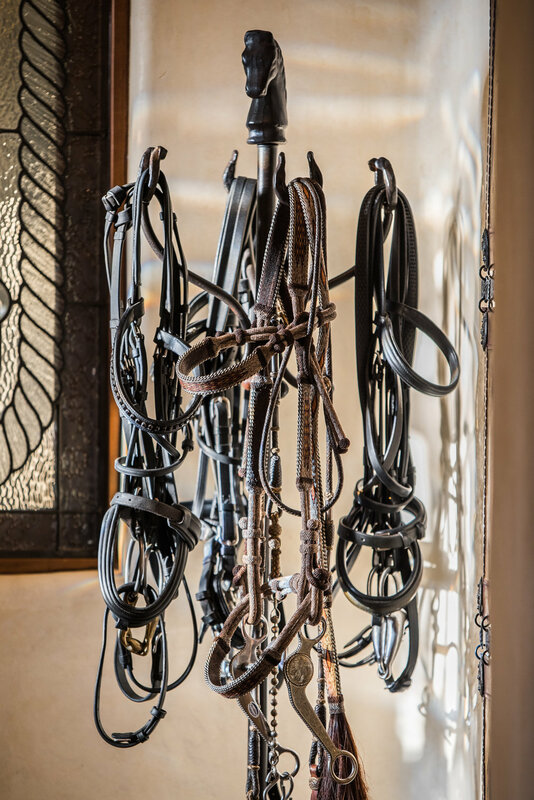 It really is its own on-property escape, where guests have everything they need at their fingertips. 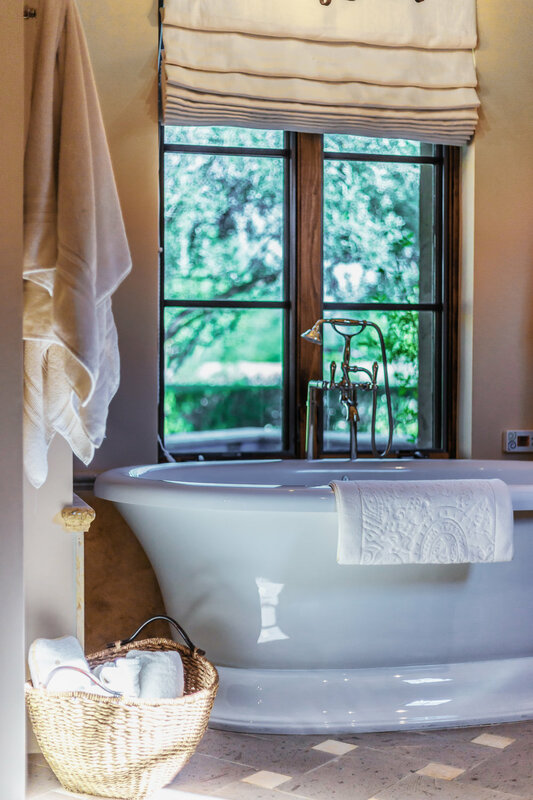 After waking up in the generously sized bedroom (complete with a full en-suite bathroom, and walk-in closet), occupants have the freedom do whatever they want, from preparing a sumptuous breakfast in the guest kitchen, to an early-AM yoga on the covered, private patio. 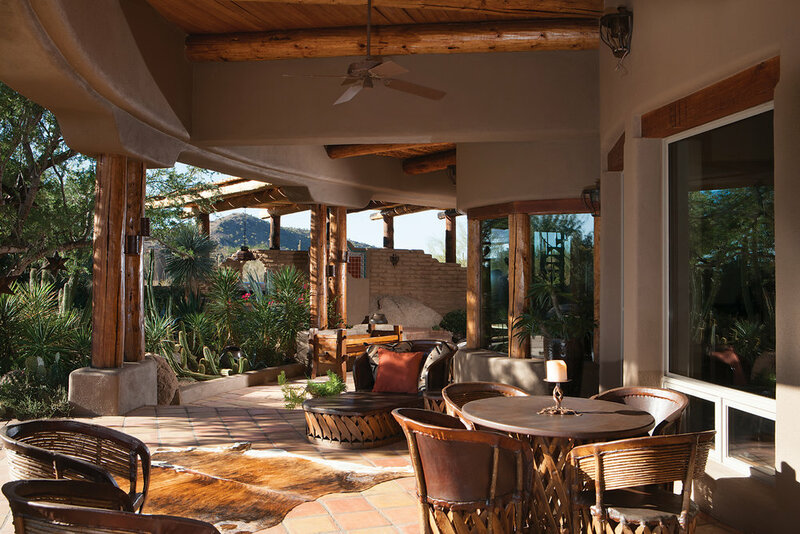 Guests can traverse the canterra stone floors of the great room (and the space’s vividly colorful, Moroccan-themed décor) with their steaming cup of coffee, open the French doors, and step outside for commanding southerly views of the desert sun rising over the property. 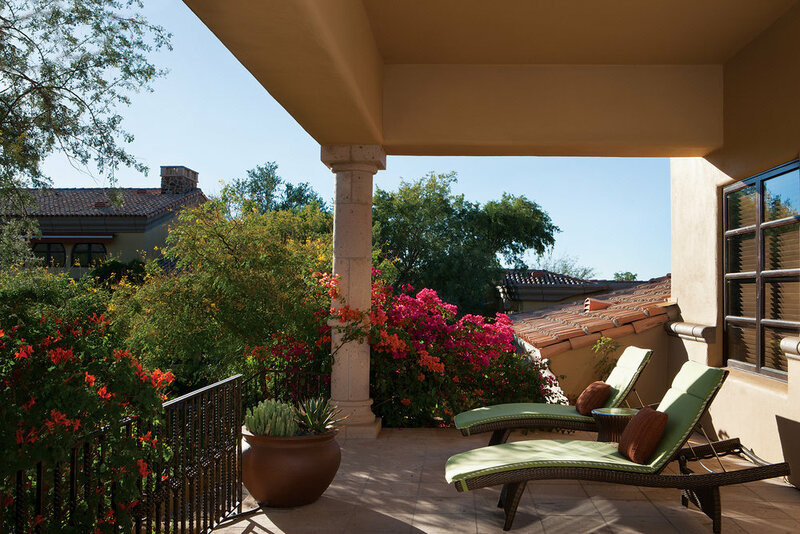 It could be the most charming morning vista in all of Scottsdale. When morning rituals are complete, enjoying the day is made unconscionably easy. Guests can explore the vibrant estate grounds by moving down the lazy river-flanked steps towards the verdant garden and glittering pool. 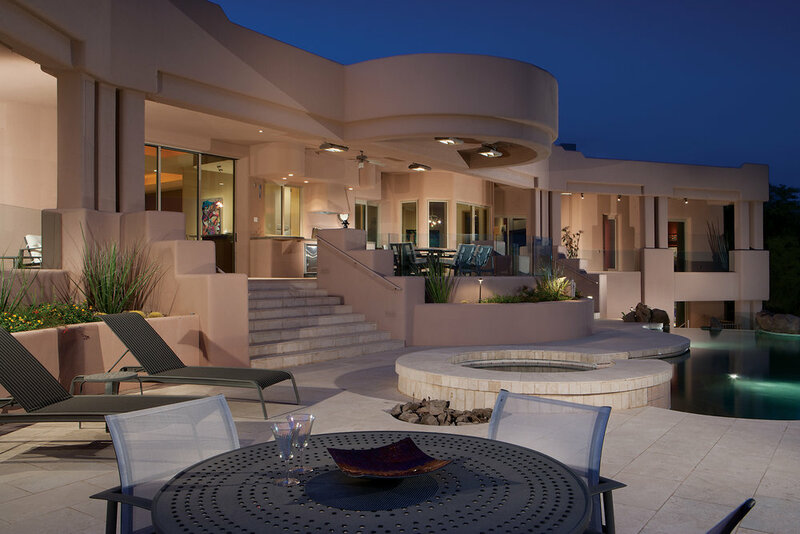 Or, they can escape the property altogether by heading into the guesthouse two-vehicle show garage (designed with a race-inspired, hot-rod red theme by Garage Majhal), and driving into Scottsdale for some authentic Arizona adventures. The most expensive meals almost always take place amidst the glitz and glam of high-society, be it a charity gala at the Ritz-Carlton, or an executive dinner hosted at some Michelin-starred restaurant. 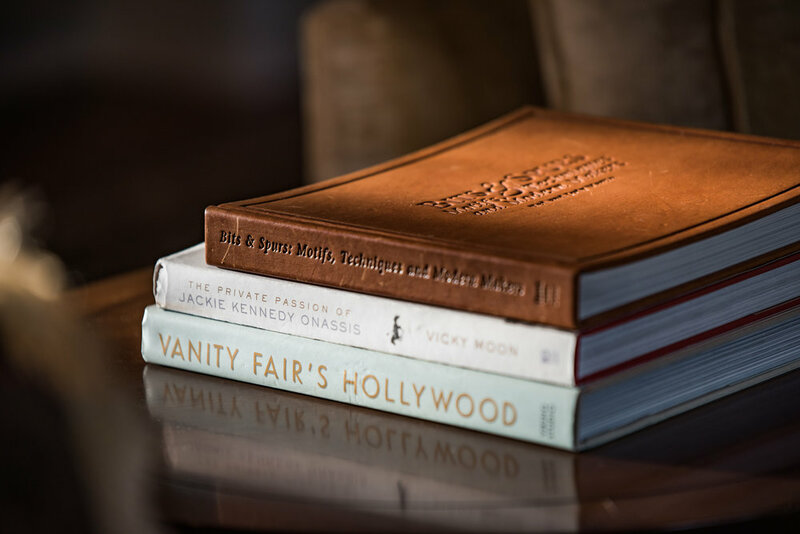 But the most memorable meals (and quite frankly, the most important) are the ones that take place amidst the residual comforts of home…Your home. The place you spend irreplaceable hours with children, grandchildren, nephews, nieces, brothers, and sisters. If the home is where the heart is, the dining room table is where its rhythmic beat originates from. 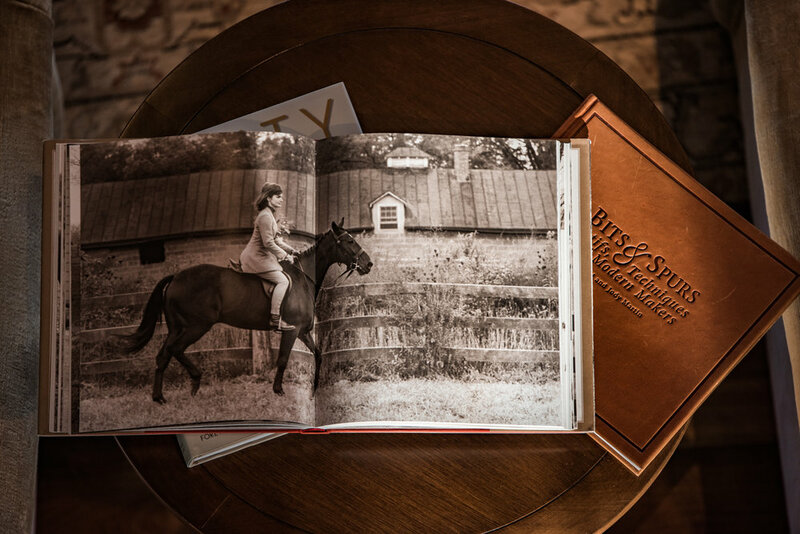 From intimate breakfast nooks, to grand Mahogany tables, indoor dining spaces are those that bring us closer together with friends, family, and the people we care most dearly about. With nearly 4.5 acres and more than 9,000 square feet, 9701 E Happy Valley Road isn’t short on elbow room, least of all in the main dining area. 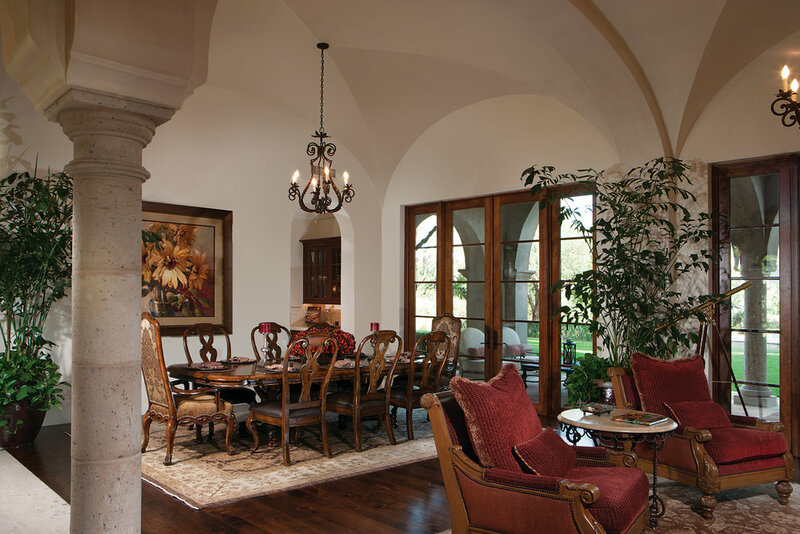 While other luxury dining rooms struggle to subdue their ostentatious airs, this one is intentionally muted akin to an upscale Italian farmhouse. 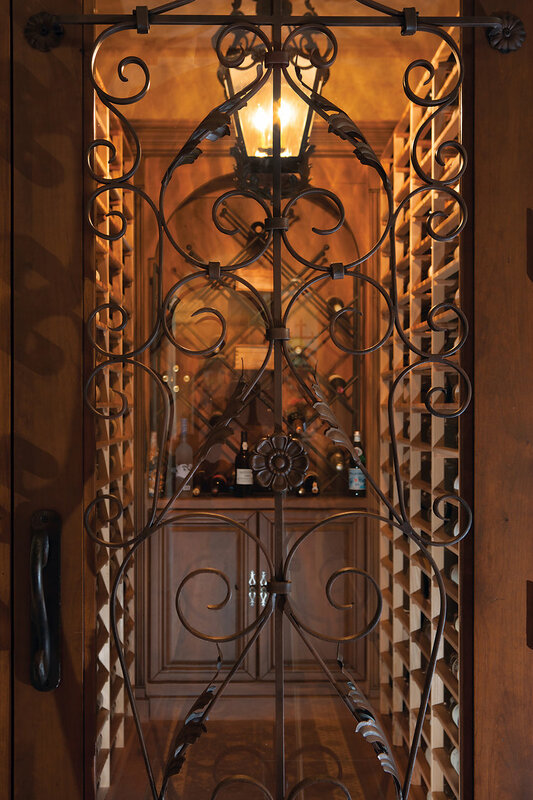 It is simultaneously rustic and refined, casual and ceremonial, with rich exposed wood and carefully crafted wrought-iron features. 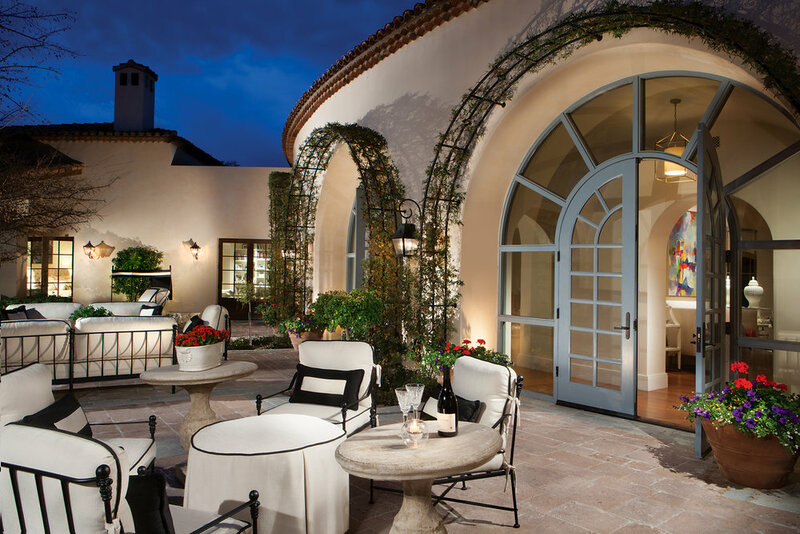 Open glass views from the hallways allow the decorative outdoor grounds to be a part of every meal. 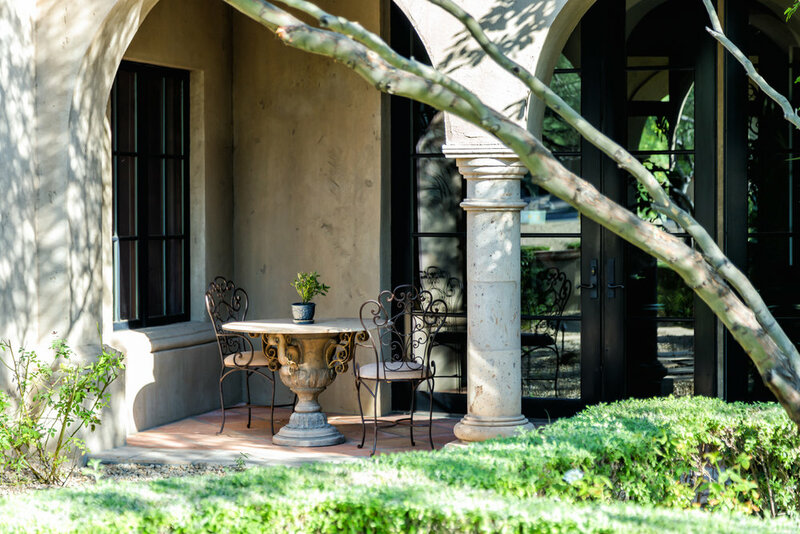 Like all the other rooms in this home, the dining room is accented with patio access in case guests would like to congregate outdoors before dinner is served. Kitchen is more than just a place to prepare and cook food, it is a statement piece that brings out the home decor and multi-purpose islands that will allow you to cook away as you enjoy company of your friends with a glass of wine while tossing a salad with champagne vinaigrette. 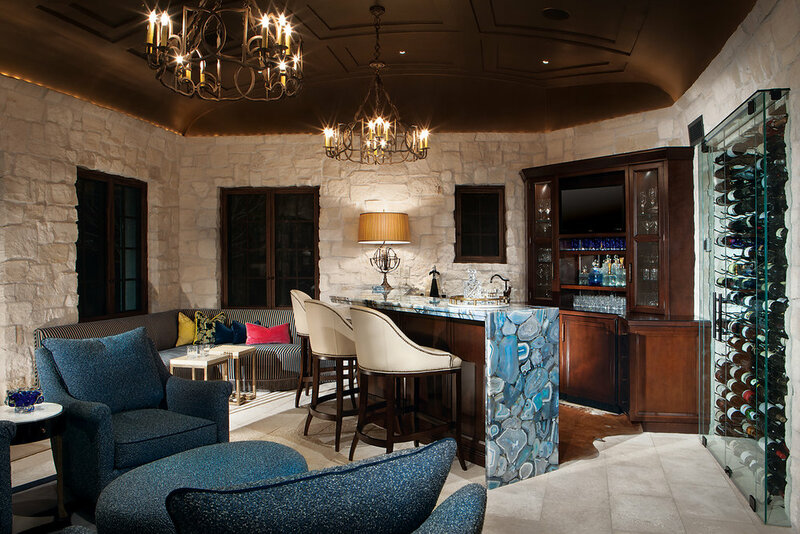 A great example of a luxury kitchen with purpose is the kitchen found in the this home. 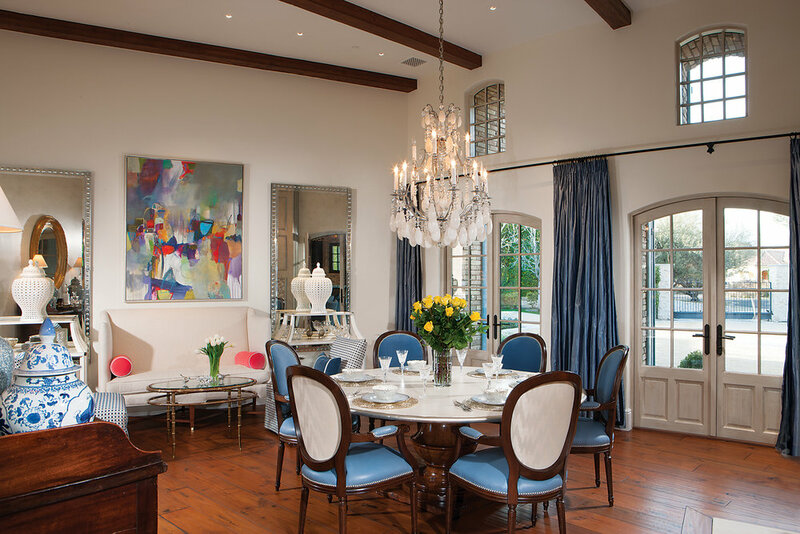 The dining room easily provides an elegant setting for a family dinner any day of the week, a dinner party to celebrate occasions, or a house filled holiday dinner with all of the fixings. 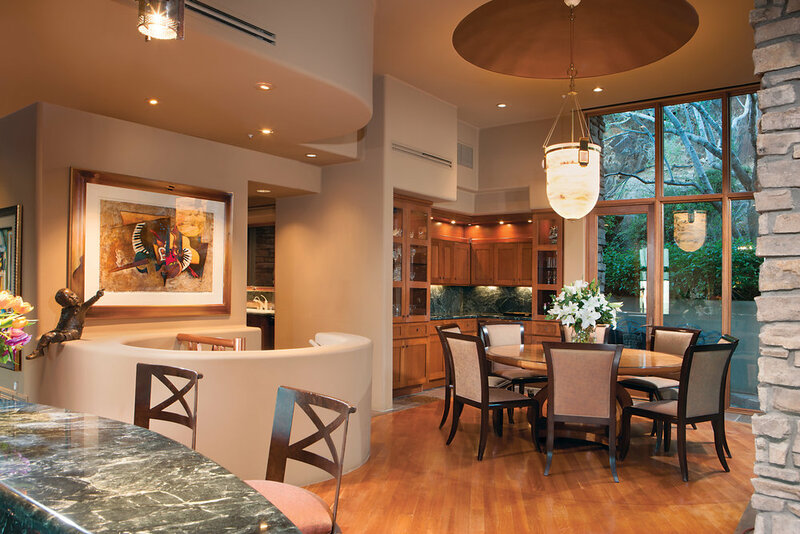 Why settle for one indoor dining space, when two is twice as nice? Two not quite enough?—might as well add a third. 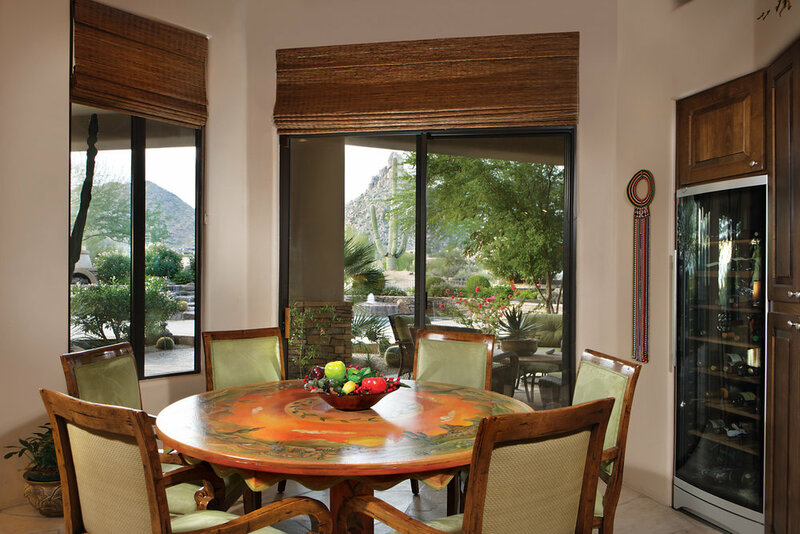 For elegant affairs, the main meal must be served in the formal dining room, where expansive glass doors allow natural light and jaw-dropping views of Camelback Mountain to pour in. 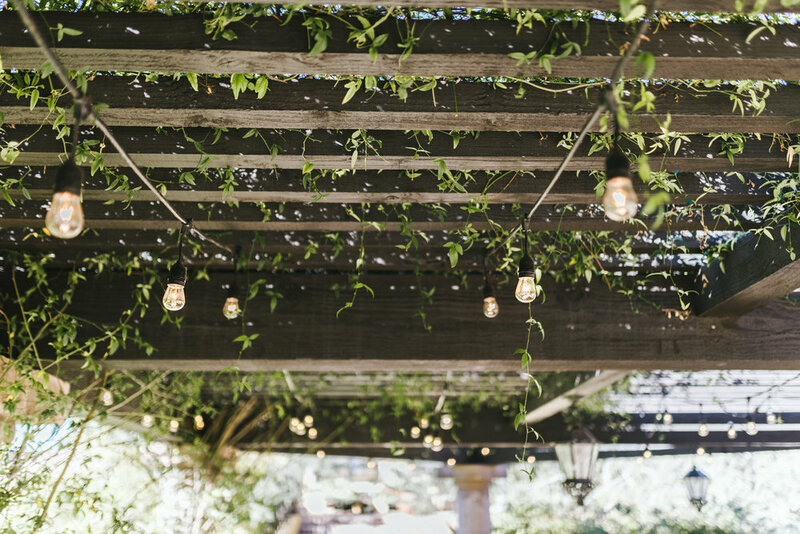 When the diners number five or less make it an intimate seating beneath a flowering wrought-iron chandelier and domed brick boveda ceiling. And when the meal looks to be highly casual—think bowls of cereal before that round of golf at the country club—the kitchen island with high-back barstools is the perfect venue. Admittedly, it’s difficult to dine indoors at 6448 El Sendero, but that difficulty has nothing to do with the construction of the house. Kingly views of the acacia-speckled valley floor far below coupled with idyllic year-round weather make outdoor dining the preferred option at this particular residence. 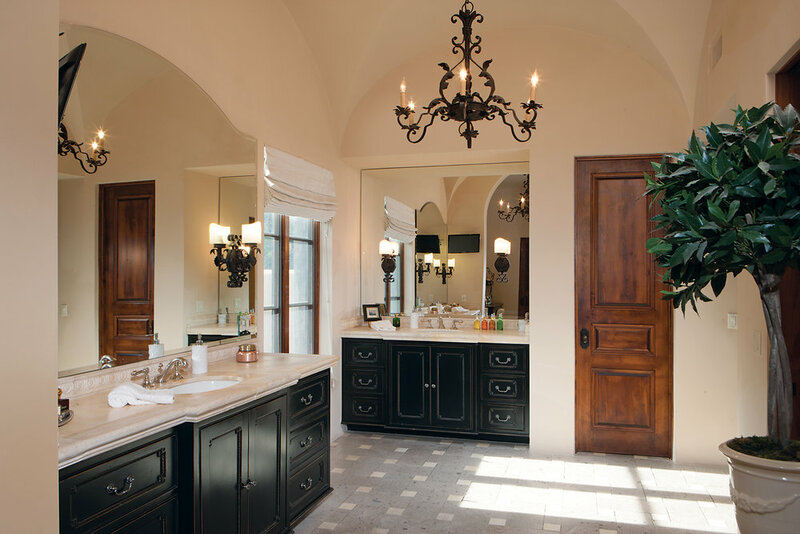 But when the occasion calls for it, El Sendero is as well suited to play the role of indoor host as any house in Careefree. 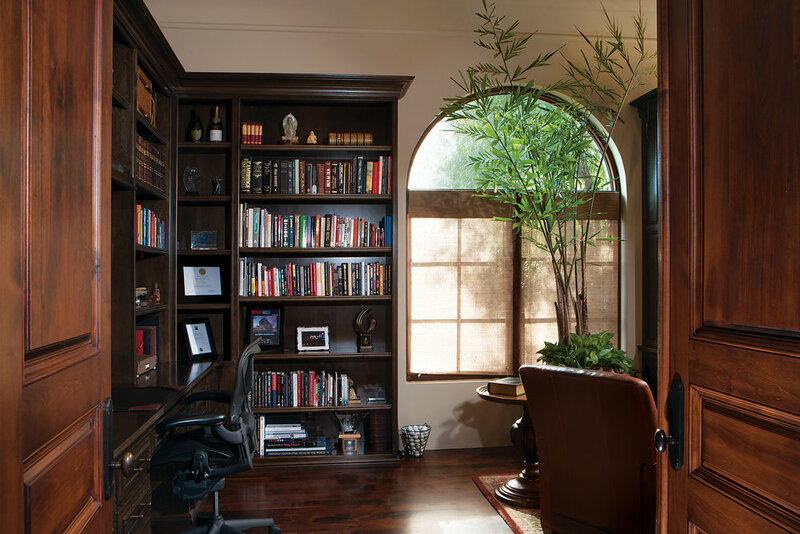 Besides, the extensive use of floor to ceiling glass throughout the house makes inside feel like out, anyways. Deliciously prepared, all-natural meals aren’t meant to be enjoyed under the intense glare of artificial lighting. They are meant to be enjoyed amidst the backdrop of an early morning sunrise, or early evening sunset. 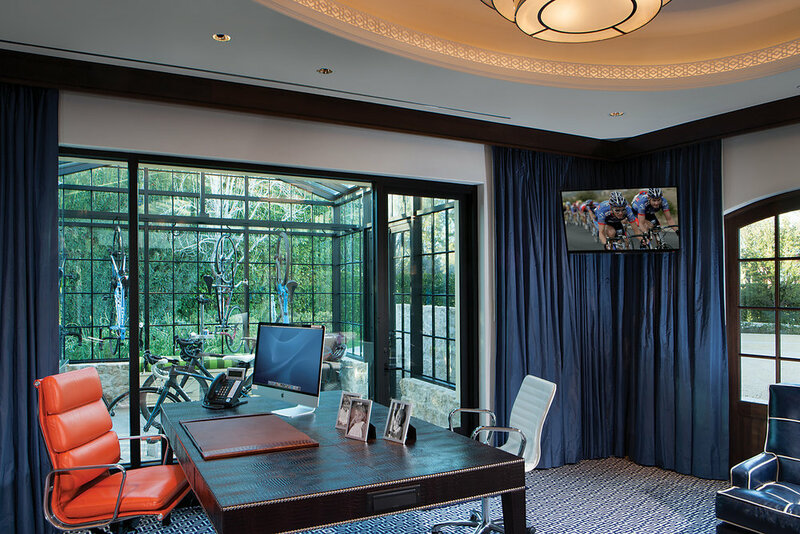 Most luxury architects overlook this reality in the design of residential indoor dining spaces, but 6151 Caballo Drive architect Clay Scrivner did not. 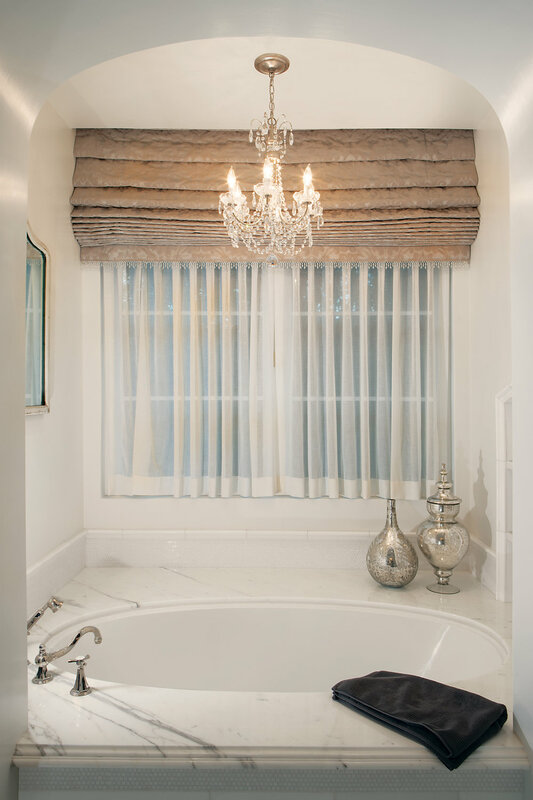 Pane upon pane of classically cut glass adorns mullioned French doors, skylights, and windows to ensure the perfection of nature’s illumination brings out the perfection of your meal. 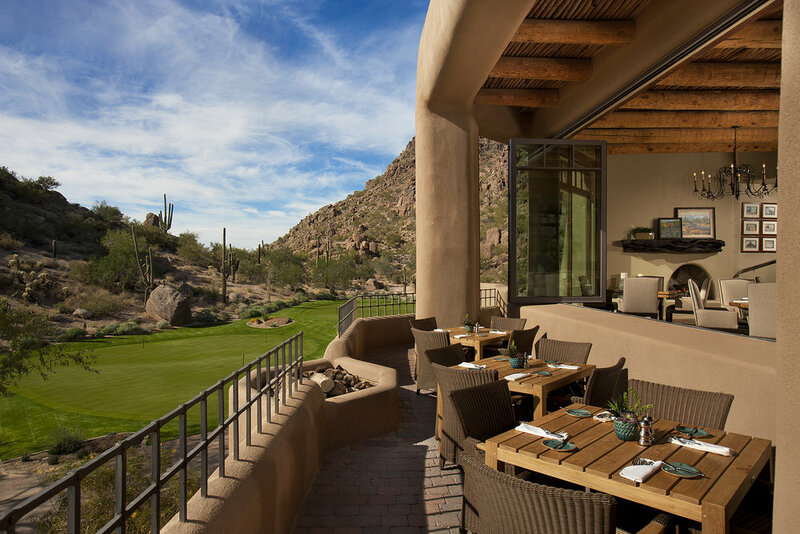 When it comes to identifying locales for truly world class golf, few—if any—can compare to Greater Phoenix. 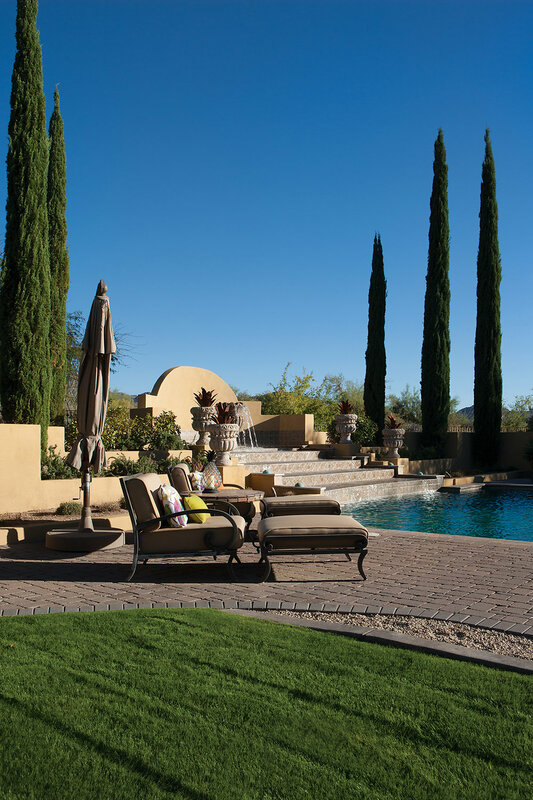 Arizona’s poshest urban community offers world-class and sensational golf courses. Everywhere you turn, there are fairways and greens worthy of some of the most prestigious signatures in the history of the game; Nicklaus, Palmer, Faldo. 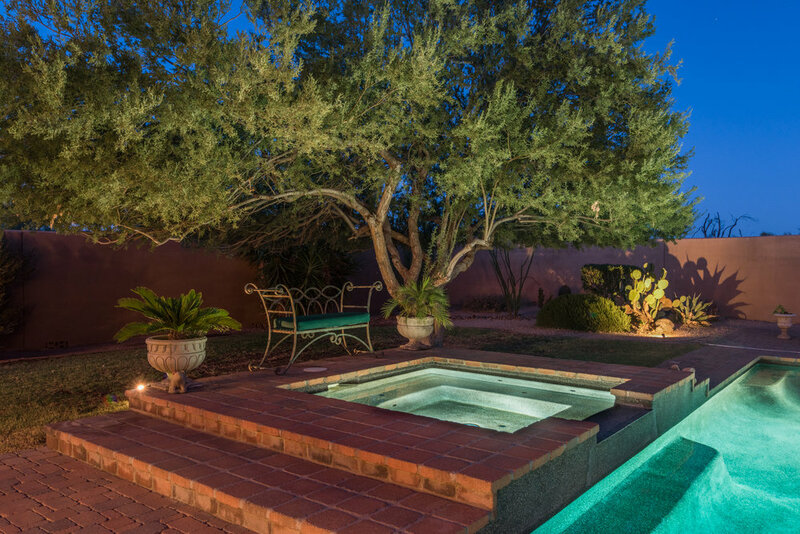 What makes Greater Phoenix such a sensational option? And those are just the BIG reasons—there are lots of little reasons Greater Phoenix doubles as a fantastic golfing getaway. But not all who come to Greater Phoenix for golf do so with the intent of making it a temporary stay. 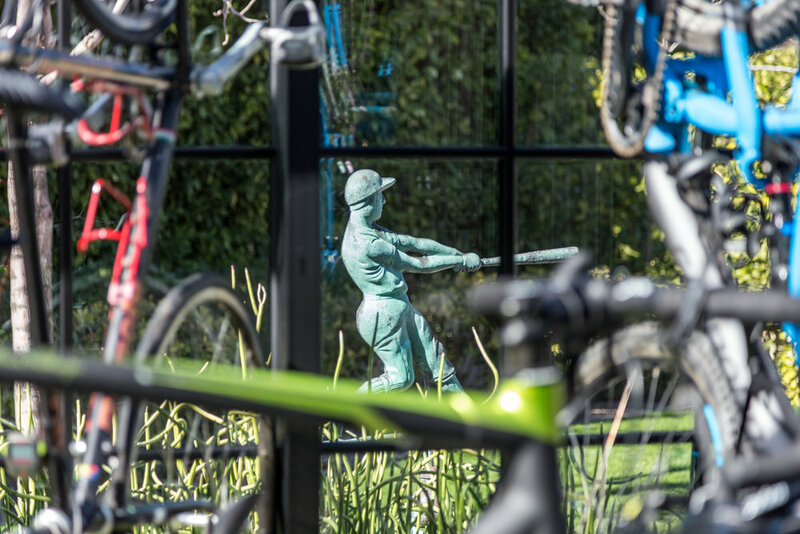 Many seek permanent residence in America’s golfing mecca. And for those who do, a pair of properties deserve thoughtful consideration. 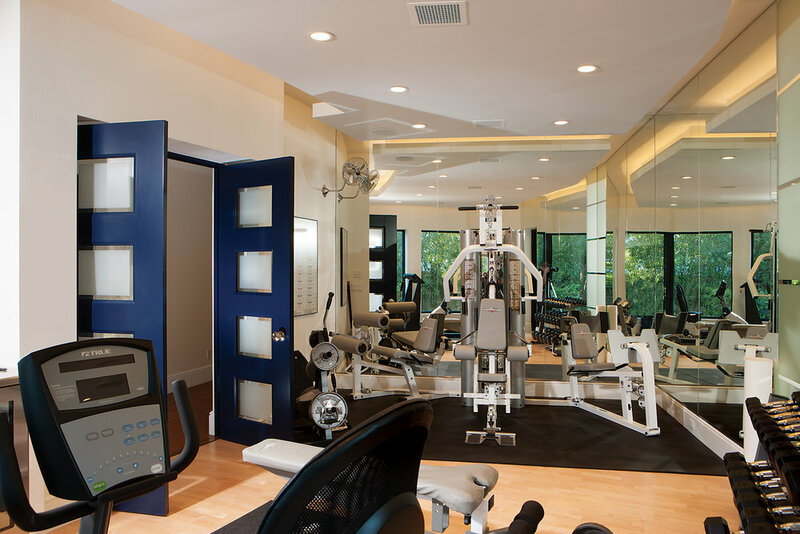 The first, 10040 Happy Valley Road, is positioned in the exclusive Desert Highlands community, and perched next to an 18-hole Jack Nicklaus signature golf course, an 18-hole Gary Panks putting course, and the prestigious Highlands Racquet Club with its 13 courts, and 7,000 square foot Wellness Center. 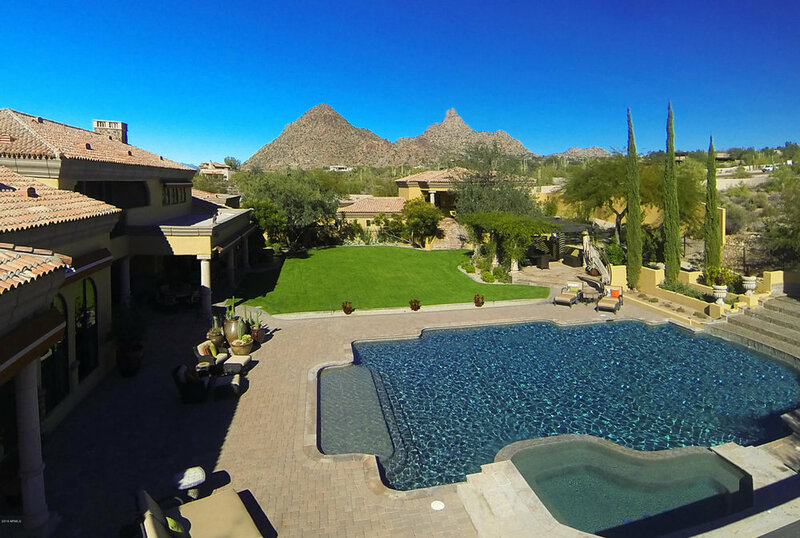 This is a cleanly lined, custom-built home that owns striking views of Pinnacle Peak. 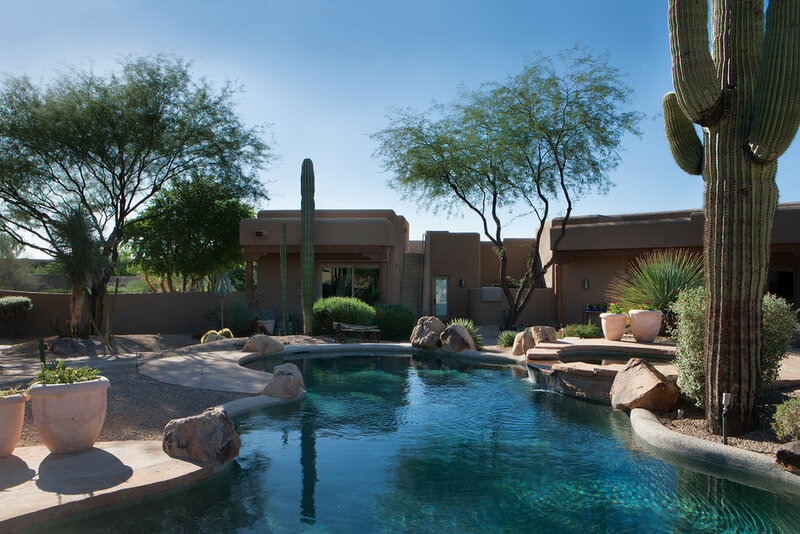 The second, 19790 N 84th Way, is built into the master plan community of The Retreat at Grayhawk, and is just a stone’s throw from the Grayhawk Golf Club. 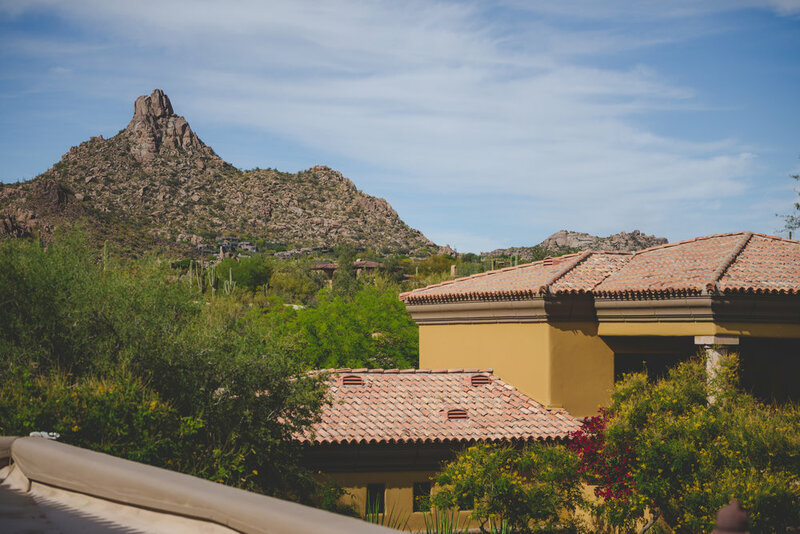 Future owners will be able to go for casual strolls across miles and miles of walking trails, intermittently stopping to tee off on any one of Grayhawk’s 36 holes. 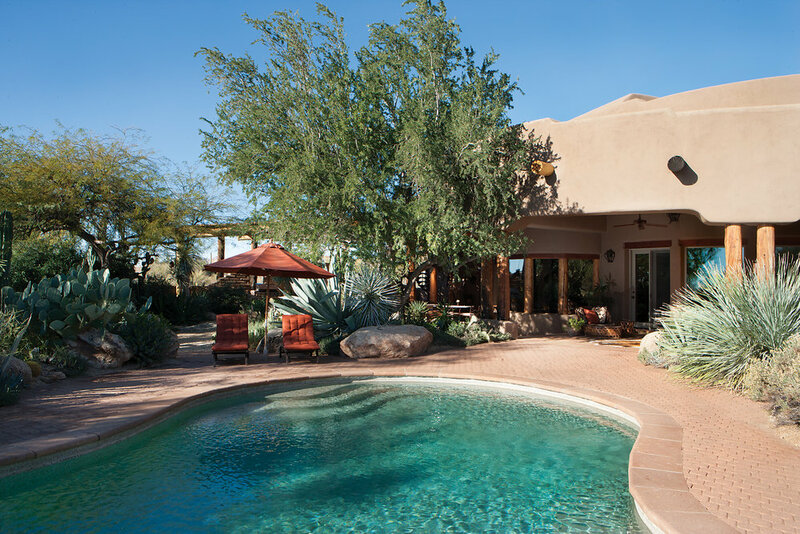 Unlike other homes in the area that place an emphasis on desert flora, this home caters to those interested in lush, resort-styled grounds. 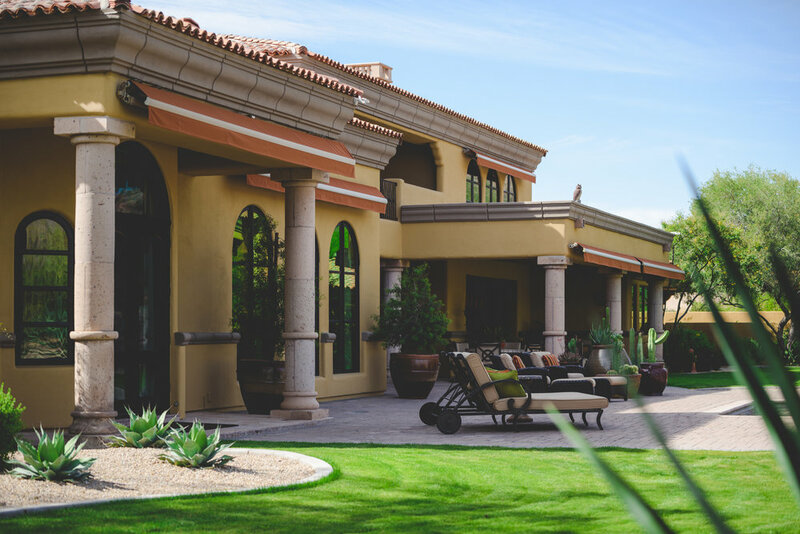 But a move to Greater Phoenix offers golfing aficionados more than a chance to live on or near immaculate courses—it also offers then an opportunity to observe some of the best professional golfers in the world at The Waste Management Phoenix Open at TPC Scottsdale (January 30 - February 5, 2017). Considered by many to be the most exciting golf event of the year due to the unconventional amount of interaction spectators can have with the players, the Phoenix Open is a golf lover’s dream. Watch the likes of Phil Mickelson, Vijay Singh, Hunter Mahan, and Bubba Watson stroll up and down the fairways of TPC Scottsdale competing to win one of the PGA Tour’s most beloved events. When it comes to cars, not all metropolitan areas were created equal, and the crisp, clean, moisture-free desert air make Greater Phoenix the ideal environment for luxury car ownership. 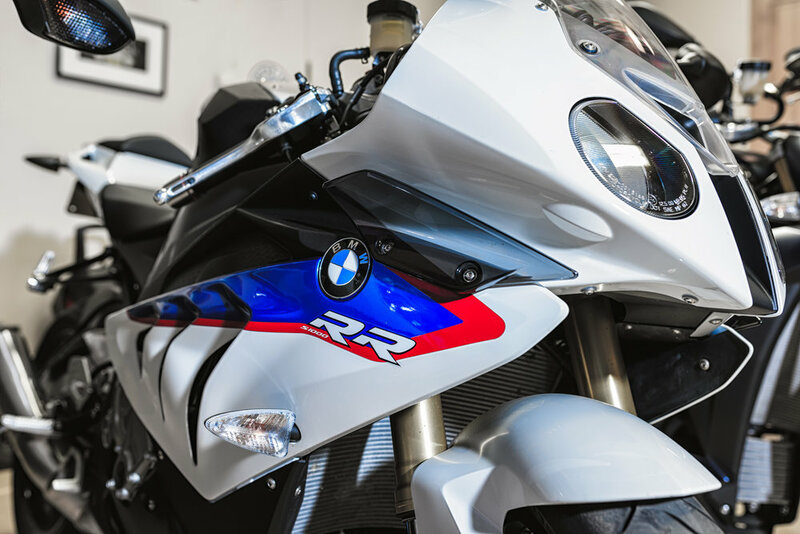 The region is well-known for being inundated with luxury car enthusiasts keen on testing their mettle and metal on the area’s long, flat stretches of open road. And while Mercedes, Land Rovers, and BMWs might be more common, Ferraris, Bentley’s, and Lamborghini’s are far from an unusual sight along Greater Phoenix’s posher streets. The point is, if luxury cars were diamonds, Greater Phoenix would be flush with them. But what good are diamonds without the rings that house them? Which is why Greater Phoenix owns some of the finest private garages in the world. 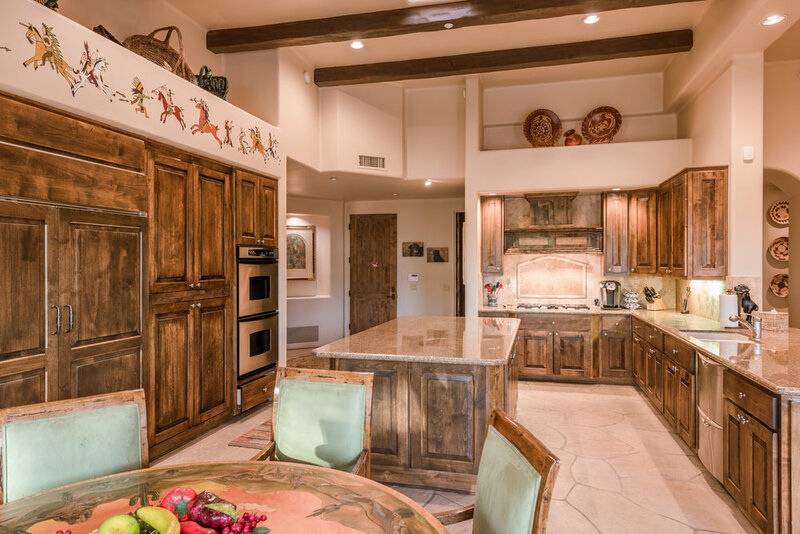 Case and point, examine this six-car masterpiece at 6448 E El Sendero Road. Iron-clad glass-paneled garage doors create a living, breathing showroom for the prized mobile possessions of any car collectors or connoisseurs. 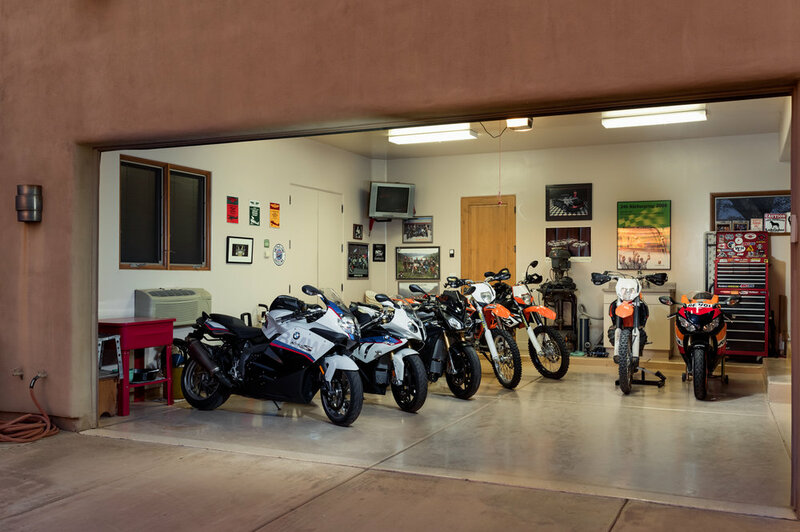 Consider the magnificent open plan of the garage at 4635 E Ocotillo. Or the racing-inspired hot-rod red garage of 9701 E Happy Valley Road—the perfect place to show a priceless collectable or custom-built classic. Garage created by Garage Mahals. With cars and amenities like these, is it any wonder why Barret-Jackson—collector car auctioneer extraordinaire—chooses to invite automotive enthusiasts from all over the world to Greater Phoenix every winter for a seasonal extravaganza? Widely regarded as the flagship event for collector car enthusiasts, the Barret-Jackson show (January 14 - 22, 2017) is an elite experience unlike any other. What started as an auction has transformed into an end-to-end automotive lifestyle event that caters to both aficionados and novices alike. Literally thousands of the world’s most desired cars—both expensive and rare—enjoy unparalleled exposure at this signature Greater Phoenix event.